It's finally here! Top Gear: The Complete Season 17 ($20) definitely delivers the mayhem, madness, and motor-driven hilarity we've come to know and love from this hit BBC series. This three disc set includes a fiftieth anniversary party for the Jaguar E-type and a search for the world's best hatchback. Sit back, relax, and enjoy this hugely popular car entertainment show! 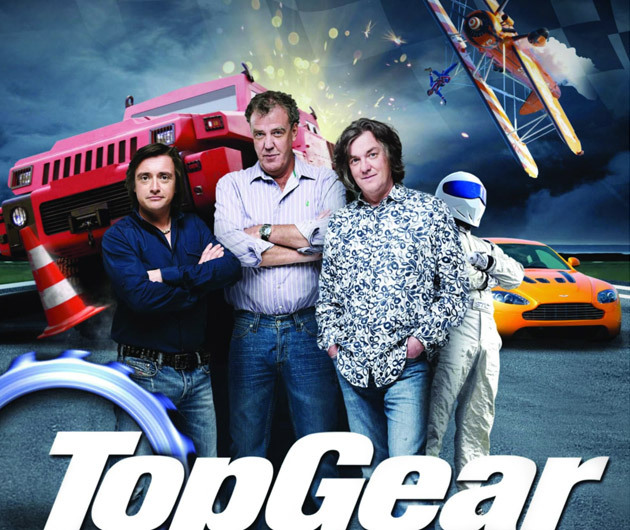 Thanks to our friends at BBC, we have a few copies of Top Gear: The Complete Season 17 DVD to giveaway. If you'd like a copy, sign up for GearCulture Essentials. It's that simple. Five Lucky readers will be chosen on Friday, February 17th. And in case you're already on the list, just shoot us an email with your email address. Congratulations to Edwin J., David, Alan, Randy and Sean M.